This is just a quick screen capture to show what the interface (or Graphical User Interface, or GUI) is for the Design Map Module of General Staff. Simply click on the pallet on the left and draw on the map. You can also select from a number of weathered paper effects for a background. 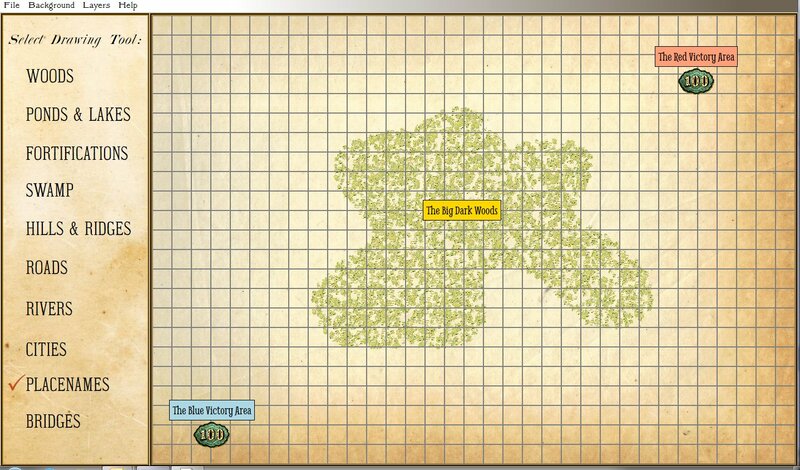 Screen capture of the General Staff Map Design Module (click to enlarge). This entry was posted in Map Design Module and tagged GUI, Map Design Module, Mapmaker on March 1, 2017 by EzraSidran.